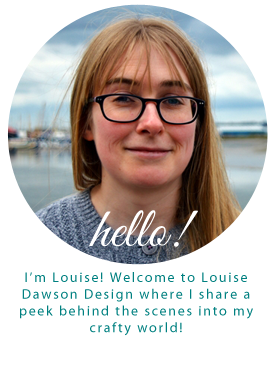 Louise Dawson Design: Hair Slide making! I've had a productive week in the studio Hair Slide making! I'm making these using up-cycled fabrics, vintage buttons and even a little bit of crochet! These will be available to buy on my stand at The Renegade Craft Fair at The Old Truman Brewery, Brick Lane, London on the 9th and 10th November. I'm working hard to make lots of lovely new things for the fair, hope to see you there and share them with you! Notice the ever present cup of tea! A few ready to go! Renegade Craft Fair, coming soon!